Reading works of Buddhist fiction is such a joy that sometimes I admonish myself for ever turning it into the locus of my dissertation project. Having to think seriously about it kind of takes some of the fun out of it. So far in my experience, the most challenging thing about approaching Buddhist fiction academically is trying to define it. I have tried to use genre theory to help with this, but it too is challenging. In the collection Contemporary Genre Theory, a volume edited by David Duff, he notes on the very first page that “In modern literary theory, few concepts have proved more problematic and unstable that that of genre. Having functioned since Aristotle as a basic assumption of Western literary discourse, … the notion of genre is one whose meaning, validity, and purpose have been repeatedly questioned in the last two hundred years.” Genre theory itself is dynamic, interdisciplinary, constantly contested and always developing. Where is a reader and thinker to start when even the theoretical boundaries are blurry? I am learning to start where there is friction. One of the interesting boundary issues surrounding Buddhist fiction that presents as friction is “about vs. of.” These are not my chosen terms but those of the incredibly astute participants in my focus group fieldwork. Some of the participants noted that there seems to be a difference between stories that are about Buddhism verses stories that are “of” Buddhism. There are some stories that are clearly about Buddhism; they have Buddhist characters and these characters live their lives as Buddhists and/or the story has a Buddhist setting. There are other stories that are not about Buddhism per se but contain within them that which readers perceive as the dharma – these stories are “of” Buddhism. 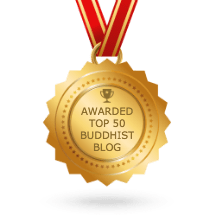 The best Buddhist fiction is, in my humble opinion, both about and of Buddhism, but the easiest to recognize and define are stories about Buddhism – stories that narrate a Buddhist world view. A good example of the friction at the boundaries of fiction that is about Buddhism and fiction that is of Buddhism rests in the works of Charles Johnson. Dr. Johnson is Professor Emeritus, Pollock Professor of English at Washington University. He is a noted author of novels, short stories and essays who was awarded the Academy Award in Literature from the American Academy of Arts and Letters in 2002. He is also an African American who self-identifies as a Buddhist. It is no surprise, then, that he wrote the forward to the first anthology of short works of Buddhist fiction entitled Nixon Under the Bodhi Tree and Other Works of Buddhist Fiction (2004). As an author and Buddhist, Johnson has penned many novels and short stories and essays, as well as the autobipgraphical work Turning the Wheel: Essays on Buddhism and Writing (2003). His works are both of and about Buddhism. Of: Charles Johnson’s novels Oxherding Tale (1982) and Middle Passage (1990), which won the 1990 National Book Award, are both works set in mid 19th century America. They are also both stories structured around Buddhist epistemology. The title of Oxherding Tale is a reference to the Zen painting-poems Ten Ox Herding Pictures or Ten Bulls which, along with slave narratives, is one of the literary tools used to tell the story. In Middle Passage, the protagonist Rutherford Calhoun undertakes a transformational journey that illustrates the Buddhist concept of interdependence. Neither of these novels is actually about Buddhism – they are stories about African Americans. A reader without knowledge of the Ten Bulls or interdependence (Sanskrit pratītyasamutpāda) may not see these Buddhist aspects in the structure of these novels, as there are no overt references to Buddhism in these works. About: Charles Johnson’s short story “Kamadhatu: A Modern Sutra” appears in the March 2012 issue of the Shambhala Sun periodical. It is a lovely story about a Japanese abbott who buys and restores an old run down temple using money he saved from translation work. The abbott, Toshiro Ogama, bought the temple so that he could be alone, but one day is faced with his first visitor. She is a young black American Buddhist named Cynthia Tucker. She is also a writer, and knows of Toshiro Ogama because he translated her work. Despite his attempts to keep her out of the way while spring cleaning, Ms. Tucker’s visit to the temple precipitates a breakthrough experience for Ogama. This lovely story is both about and of Buddhism, and you can read it here: “Kamadhatu: A Modern Sutra”. You can also read Charles Johnson’s own thoughts and reflections about the short story in an interview he gave to E. Ethelbert Miller here: E-CHANNEL: KAMADHATU: A MODERN SUTRA . So is all of Charles Johnson’s work Buddhist literature? Gary Storhoff and John Whalen-Bridge imply this in their edited volume The Emergence of American Buddhist Literature (2009). But to label all prose and poetry by Buddhists as Buddhist literature is akin to labeling all such works by Christians as Christian literature, which is neither true nor helpful to my academic challenge. I think that, for the time being, I will forge ahead with the idea that Buddhist fiction is contemporary story that has recognizable Buddhist elements (characters, plot, setting) and clearly narrates a Buddhist world view, unless someone would like to convince me otherwise.